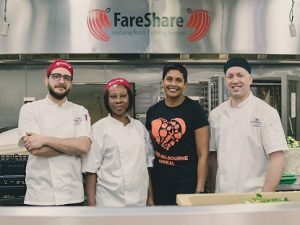 Crowne Plaza Melbourne has committed to providing 40,000 meals to Fareshare and is inviting guests to make a small donation during their stay in order to reach their goal of providing 100,000 meals to locals in need. Having recognised the need to support frontline food relief charities and the growing demand for emergency food, Crowne Plaza Melbourne is asking guests to donate 50 cents as part of the hotel booking to help feed those in need. Guests can also make a small donation at one the hotel’s restaurant outlets and upon check-out. 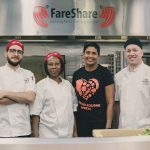 Crowne Plaza Melbourne’s Head Chef, Warren Finger, and his culinary team have been volunteering in the Fareshare kitchen each fortnight and will continue to do so as part of the hotel’s ongoing commitment to Fareshare and the Feed Melbourne Appeal. Nearly 105,000 Victorians are provided food assistance each month, while thousands more are unable to be assisted. This is the Feed Melbourne Appeal’s 10th year in operation and the organisation has a target of generating enough funds for 2 million meals.